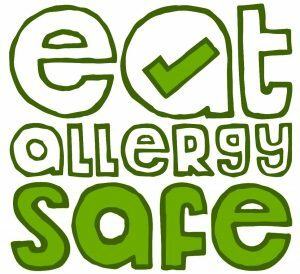 The Eat Allergy Safe Podcast is about looking at the challenges of living with allergies and how to solve them. Allergies are just one fact of some lives, not the whole. The aim is to help parents empower their children to take ownership over their allergies so they can be confident, happy and live a fulfilled life. Ask the Allergy Coach Q15: Should we make our home completely nut free for our nut allergic daughter? Ask the Allergy Coach Q14: Still getting stomach aches even after doing an elimination diet. Is this normal? Ask the Allergy Coach Q13: Is it wrong to miss eating the allergens my child is allergic to? Ask the Allergy Coach Q12: Can an adult suddenly develop a peanut allergy? Ask The Allergy Coach Q11: What sauce can I make/buy that is free from egg, dairy, gluten and sugar? Ask the Allergy Coach Q9: How Can I Ask my Neighbour to Stop Cooking with Peanuts? Have you overcome an allergy challenge? Or have you started a business helping allergy sufferers? If this is you, we’d like to hear from you. We are always looking for inspirational stories, of allergy wins, big and small, to share on the podcast. If this is you or you have a guests suggestion, please use the contact form below and tell us a little bit about yourself and your story.